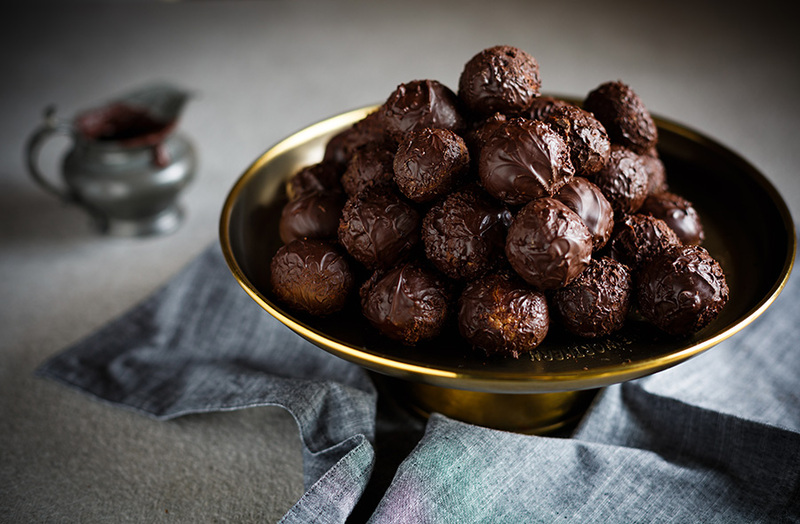 These chocolate truffles are so easy I’m almost embarrassed to put the recipe up here. 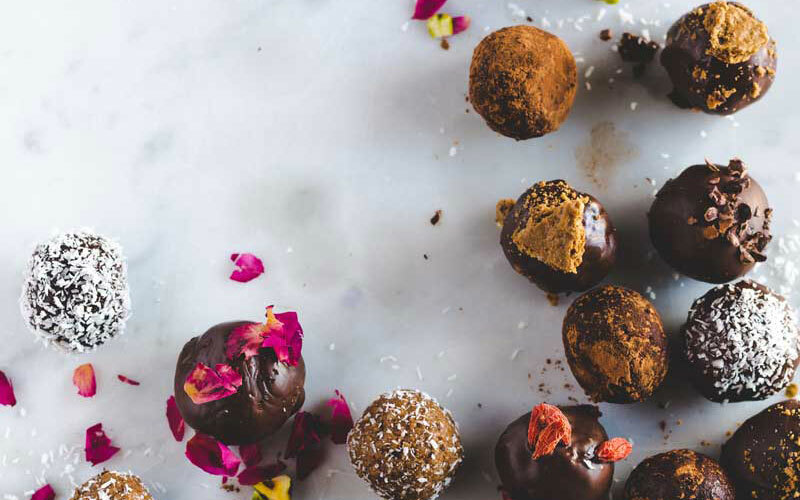 Simply stick the 4 ingredients in a food processor (or blender), roll them, dip the truffles in chocolate, eat and repeat! My affinity for Romany Creams (chocolate coconut cookies) runs deep; most of my curves can be attributed to the many packets I devour. This tends to happen when I promise myself ‘just one with a cup of tea’. Yeah, right. No one has ever, in the history of the world, had only one Romany Cream! I love them so much, that one of my most treasured recipes is the copy-cat recipe I found in my Great Aunt May’s recipe book. It’s one of the most popular recipes on The Kate Tin! Romany Creams not your vibe? by all means use whatever you like. These chocolate truffles can even be rolled in white chocolate (swoon!). 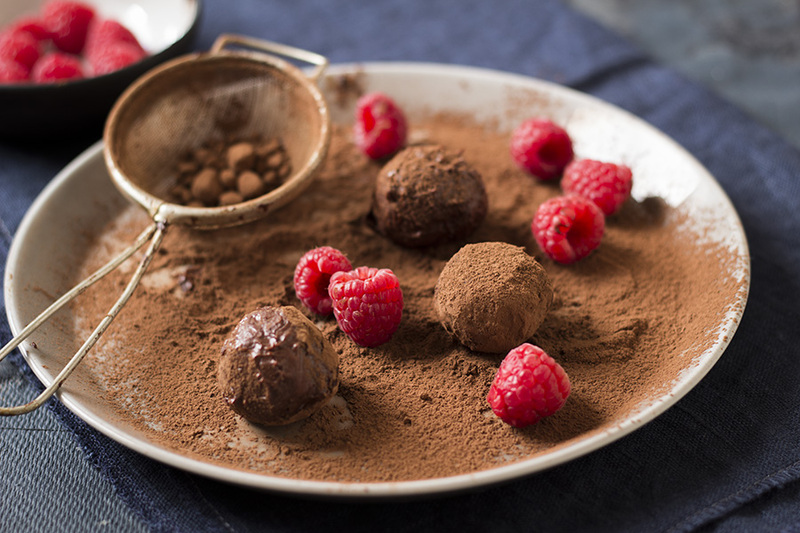 To make the chocolate truffles, place the Romany Creams and coconut in a food processor or blender and blend until fine. Add the condensed milk and blend again until the mixture comes together. 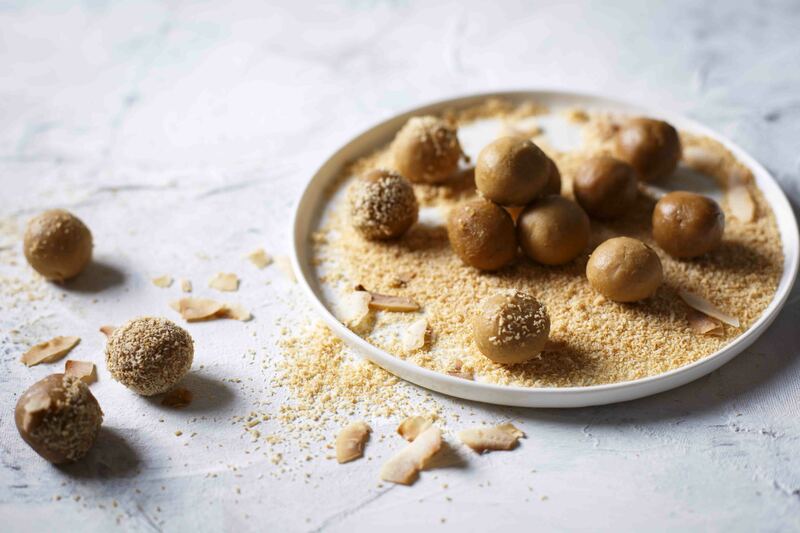 Roll heaped teaspoonfuls of the mixture into balls and place on a lined baking sheet. 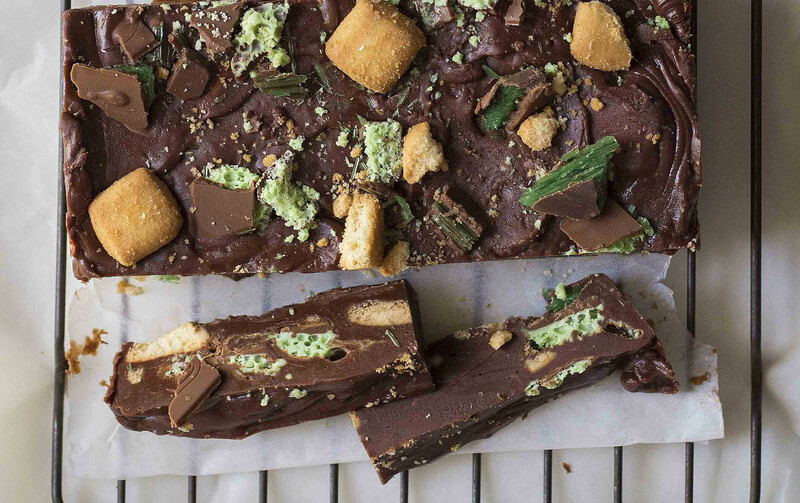 Refrigerate until firm – about 30 minutes. Combine the melted chocolate and coconut oil and mix well. Place a little melted chocolate in the palm of your hand then roll each truffle in the chocolate to coat. Place on the lined baking sheet to set. Repeat with the remaining chocolate. The chocolate truffles can be stored in an airtight container in a cool place for up to two weeks.